The main project aim is to develop the capabilities of participating organizations through gaining creative marketing knowledge for increasing the awareness especially of public authorities and business sector about the three pillars of sustainable development [SD]: economic, social and environmental benefits. Previous experiences from preceding activities realized from consortium members, primarily based on achieved outcomes in YiA and Erasmus+ projects encouraged us to develop the idea of CBY in order to cooperate and exchange the best marketing practices and promotion tools for creating policies and implementing imaginative campaigns for SD using social media. The project gathers 12 partners from 11 countries: Bulgaria; Croatia; Czech Republic; FYR of Macedonia; Ghana; Kyrgyzstan; Nepal; Poland; Romania; Slovakia and Slovenia. 6.To balance different, and often competing, needs against an awareness of the SD limitations we face as a society, without compromising the ability of future generations to meet their own needs. 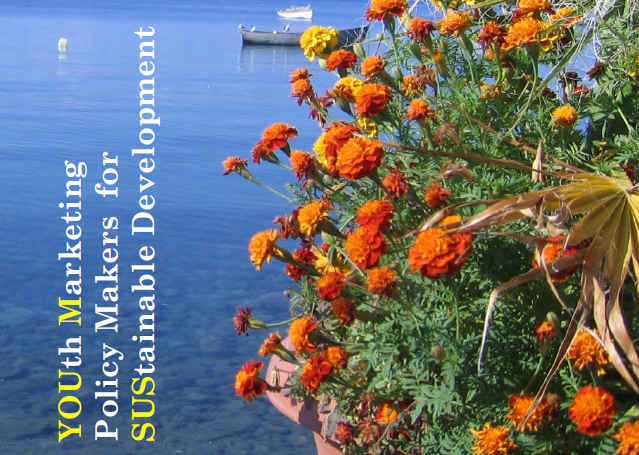 3.E-booklets (17) for practical implementation of Rio+ SD Goals.